In an obvious reference to the Flintstones cartoon series, National Geographic have run a story on the reconstruction of a Neandertal woman they call ‘Wilma’. Her face appears partially on their cover, pictured here; you can see the full-facial view on NG’s site. Although her dirty and disheveled appearance and rough, marked skin still reveal a touch of bias toward the notion of some ‘early primitive’, the face of Wilma is unmistakably human. Factor in some washing and grooming (which for all we know may have been a feature of Neandertal life anyway) and some nice clothing and you would not comment if she was sitting at a restaurant table next to yours. Neandertal fossils have been known to the modern world since 1856, when a specimen was discovered in a quarry in Germany’s Neander valley (valley = Tal in modern German1). This group of humans has some characteristic features in their bony skeleton that enable them to be distinguished from our own group. So, not surprisingly, when Darwin’s Origin of Species broke onto the scene only three years later, ‘Neanderthal Man’ was in a prime position to be enlisted in the cause of evolution. Even though Neandertal skulls had a brain capacity larger on average than ours today, their sturdy frame and the fact that they were frequently found buried in caves made them the archetype of the ‘ignorant, grunting caveman’ concept. In due deference to Darwinism, the earlier reconstructions of Neandertals portrayed extremely savage-looking brutes, most more animal than human. Evidence that they lived in structures of wooden frames covered in animal hide, like modern-day nomadic peoples. This suggested not only a human level of technical skill, but a high degree of social organization. Sophisticated hunting javelins, perfectly balanced and designed. Evidence of trade in bodily ornaments. Evidence of the use of fire, including cooking implements and the application of spices in cooking. A complex structure, constructed by Neandertal people about 1 ½ km (c. one mile) underground with no natural light. Their settlements were prominent at the edge of the ice sheet during the great biblical Ice Age, which happened as a natural consequence of the Genesis Flood (warmer water, most of it from beneath the ground, provided the energy for the extra precipitation needed to get massive volumes of water out of the oceans and up onto the continents as huge sheets of ice). 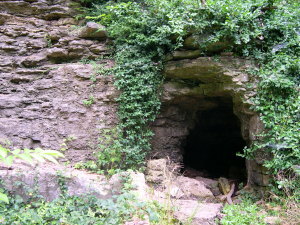 So caves also made a good place to shelter from freezing weather. The walls of caves are made up of rock with mostly marine fossils deposited by the Flood, so they are clearly post-Flood humans, and given that most of them are found outside the middle East, clearly post-Babel. The dispersion [at Babel involved] … each group taking only a subset of the technology and ‘know-how’ of their time, plus a subset of the total gene-pool. The dispersion via God’s supernatural confusion of languages meant that people ended up being isolated from their previous civilization, with each group taking only a subset of the technology and ‘know-how’ of their time, plus a subset of the total gene-pool of variation. Most everything we know about Neandertals fits well within that framework, apart from the ‘dates’ assigned to them which are much older than any reasonable biblical date for Adam could allow. However, these dates can be regarded in the same fashion as so much other evolutionary speculation, given all the assumptions that go into dating methods. In fact, if a date does not support the paradigm, it is not accepted by evolutionists themselves. A lab faced with a dating result of, say, 20 million years on a layer of volcanic rock in association with, say, dinosaur fossils would immediately assume some error or contamination. ‘Everyone knows’ that it’s the wrong age for dinosaurs. Despite this fluidity, the movement known as ‘progressive creationism’ or sometimes ‘long-age creation’ (mostly linked to the teachings of Hugh Ross of Reasons to Believe) seeks to accommodate all of these secular dates within an understanding of Genesis which, despite their labeling it ‘literal’, is immensely strained. In short, such thinking (unfortunately very common among well-meaning evangelicals) rejects Darwin’s ideas about biological evolution, but accepts naturalism’s ‘big picture’ about the evolution of the earth and the cosmos over billions of years. Because they try to accept both a literal Adam and Eve and secular dating methods at the same time, progressive creationists (PCs) are in a quandary with any human fossil specimen that is dated as extremely old. They do try to stretch the (actually watertight) genealogies to some tens of thousands of years, long past any reasonable breaking point. But this just won’t work for Neandertals, the ‘ages’ of which can range up to hundreds of thousands of years before the present. The only solution apart from giving up their position altogether is to assign Neandertals to a non-human category. They are labeled as soul-less non-human (but human-like) animals that God created (and then let go extinct, after hundreds of thousands of years of pointless, pre-Fall pain and suffering) prior to His creation of the first pair of humans. PCs were, however, heartened by the recent release of mitochondrial6 DNA data from a Neandertal that showed a good number of differences to the average of modern humans. But as human genetics researcher Dr Robert Carter of CMI-USA showed in a recent article on that mtDNA announcement, the conclusion is far from the sure thing it was touted to be. For one thing, living chimps in the same species differ from one another more than Neandertals differ from the modern average when it comes to this mtDNA. It’s especially interesting that the very pro-evolutionary National Geographic (whose senior science editor, Jamie Shreeve, still believes that the Neandertals were a separate species) not only gives its ‘Wilma’ a very human ‘look’ in her reconstructed eyes, but says that the reconstruction is based on not just fossils, but also the evidence from DNA, including nuclear DNA. 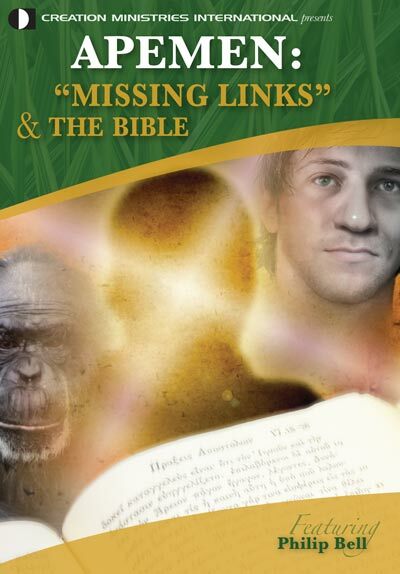 Because they try to accept both a literal Adam and Eve and secular dating methods, progressive creationists are in a quandary with any human fossil specimen that is dated as extremely old. The DNA in the nucleus, the centre of the cell, is the main ‘information bank’ for the construction of an organism, as opposed to the tiny bit of DNA in the mitochondrion. Nuclear DNA has indicated, for instance, that at least some Neandertals would have had red hair, pale skin and possibly freckles. This is because the same mutation that causes this in humans has apparently been found in a Neandertal DNA specimen. Shreeve went on: ‘We saw an opportunity to literally embody this new science in a full-size Neanderthal female, reconstructed using the latest information from genetics, fossil evidence, and archaeology.’ While we acknowledge the limitations of any reconstruction, and the hype sometimes associated with NG’s pronouncements, it’s no surprise to find their Wilma looking as thoroughly human (though unkempt) as she does. Like a number of other Neandertal reconstructions of recent years, it makes it ever harder to hold the position that such people living in communities, with music, technology, hunting, and all the rest, were some sort of ‘experiment’ on the way to God’s creating ‘real people’. The Neandertals were not only as real as you or I; they were people, pure and simple. Not some sort of subhuman. The Bible’s history makes it plain that people were always people, and mentions nothing of any quasi-human forerunners. Just as has been said of many ‘Stone Age’ tribes living today, given the benefits of modern technology and education, there is no reason why a Neandertal baby somehow growing up in our culture could not have been able to fly a jet plane or operate a laptop. At the time of the discovery, the German spelling was Thal, the h later being dropped from the word for valley. 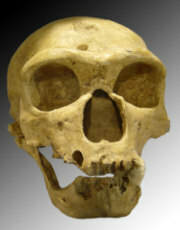 However, even though most literature now refers to Neandertals in this modern way, the first specimen’s name Homo neanderthalensis, by scientific convention, retains the same spelling as when first assigned. Return to text. See http://www.greenwych.ca/fl-compl.htm and Wieland, C., Speech, music and Neandertals, 27 February 2008. Return to text. Debate has raged as to whether some of the features in modern Europeans are a result of inheriting some otherwise uniquely Neandertal genes. Some prominent evolutionary paleoanthropologists are convinced of this from anatomical evidence at least. The verdict will need to await much more complete and widespread studies of Neandertal nuclear DNA. Return to text. 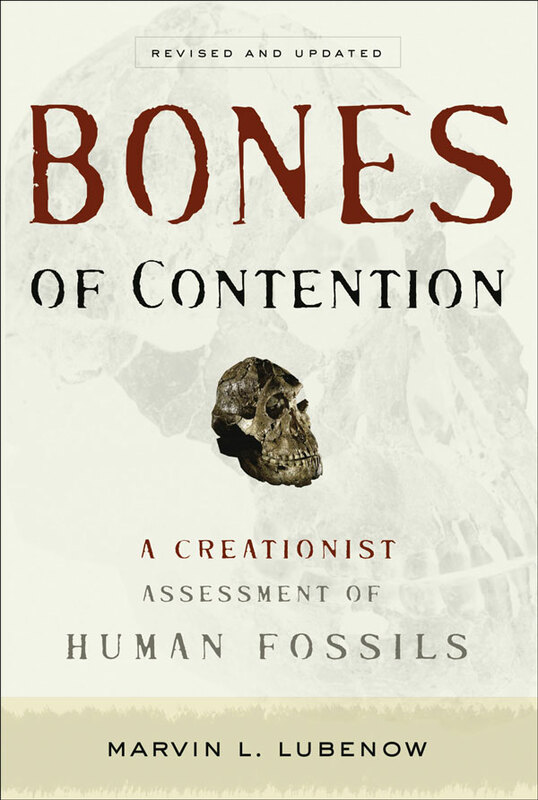 Line, P., Inconvenient Neandertaloids, Journal of Creation 21(1):15–19, 2007. Return to text. Janroncyk, R., A new Neandertal/modern human fossil hybrid? Journal of Creation 21(1):7–8, 2007. Return to text. The mitochondrion is a small organelle within the cell that acts as an energy factory. It has a very small proportion of the total DNA in the cell. MtDNA is not inherited in the normal fashion, from both parents, but mostly (though not exclusively) via the mother (the egg which is fertilized has mitochondria in it already). Return to text. 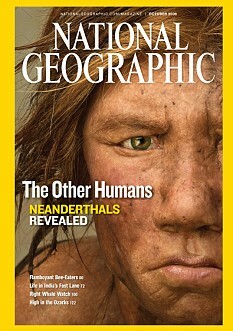 Neandertal face unveiled, nationalgeographic.com, September 17, 2008, Return to text.